As much as arterial thrombosis is recognized as a major factor in cardiovascular disease, its true contribution to arterial disease and ischemia is often masked. 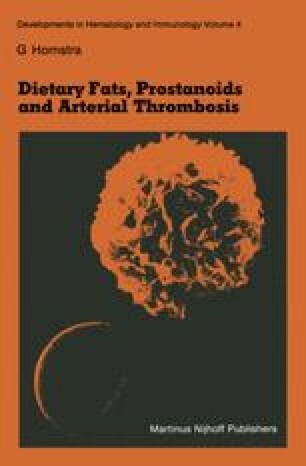 In this chapter, the pathology of arterial thrombosis and the interrelatonships of the thrombotic process and atherogenesis will be considered. Thrombotic ischemia may result either from acute obstruction of arteries by thromboemboli and rapidly forming mural thrombi or from a long-term effect whereby thrombi contribute to the growth and progression of atherosclerotic lesions.